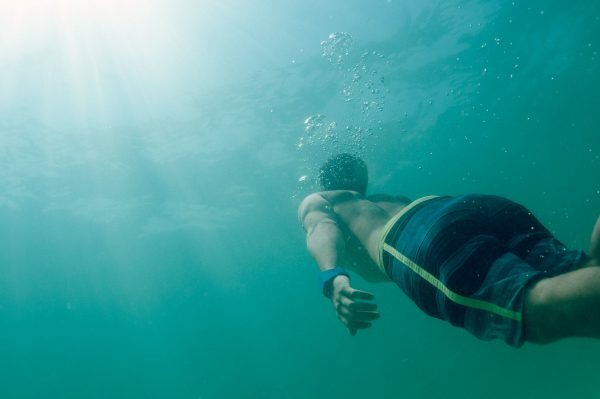 Following a wave of media reports about shark attacks mostly in the US, Australia and South Africa, various products have emerged that claim to repel sharks. One of the most popular is SharkBanz, which uses magnets to trick the shark’s internal senses. Well, a surfer in Florida who was wearing the bracelet for the first time recently found out the limitations of this new technology. Zack Davis, 16, was surfing with his twin brother Zane at Avalon Beach, Florida near Fort Pierce when he was bit on the arm. Zack told reporters he had taken a wave and was tumbling in the surf when his arm scraped along the sandy bottom and a shark bit it. His brother saw all the blood and came in to help, but not before snapping some photos. Zack lost a lot of blood, but ended up being okay. The pair appeared on Jimmy Kimmel Live! Monday night to talk about the incident along with SharkBanz founder Nathan Garrison. One of those limitations appears to be actually striking the shark. The species that bit Zack was likely a blacktip roughly five feet long. Shark’s are extremely jumpy and anything that strikes them, be it an arm or a leash, can trigger a reaction. What SharkBanz tries to do is repel the shark by triggering the small chambers near the shark’s head that are full of gel called ampullae of Lorenzini, which can sense electrical signals around prey. These same organs are also present in stingray. While the actual risk of getting bit by a shark is relatively small, increased media attention in recent years have led somewhat of a hysteria campaign around shark attacks, with many people looking for protection. Garrison said he would offer the boys a refund on their purchase, but also invited them out to California to see the product working in action. “He already saw it working in action,” Kimmel said. previous articleShould Your Boat Have Rivets Or Welds?